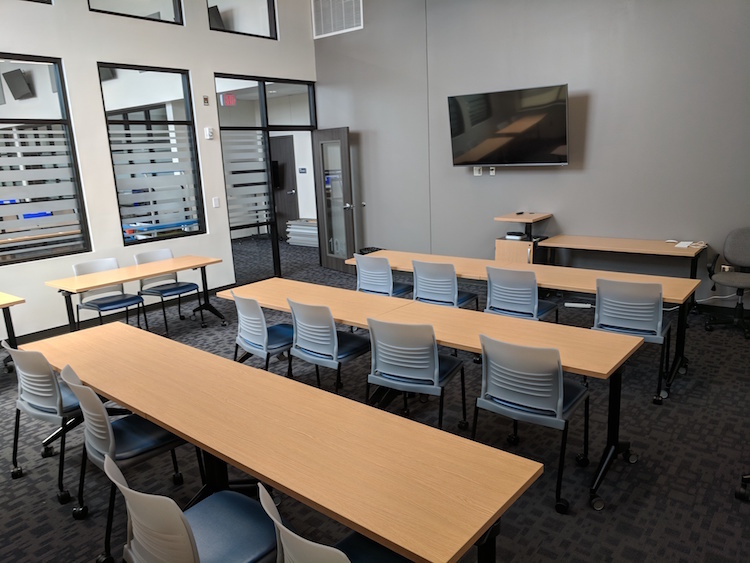 The Linebaugh Board Room is a flexible space with tables that can be moved around or put to the side, depending on needs. It is equiped with a large-screen TV with an HDMI cable that can be hooked to a laptop for presentations. The room also has a DVD player if needed. There is a white board available as well. *Confirmation email will come within 48-72 hours to confirm reservation. The Linebaugh Club Room is located on the 1st floor in the Children's Area of the library. 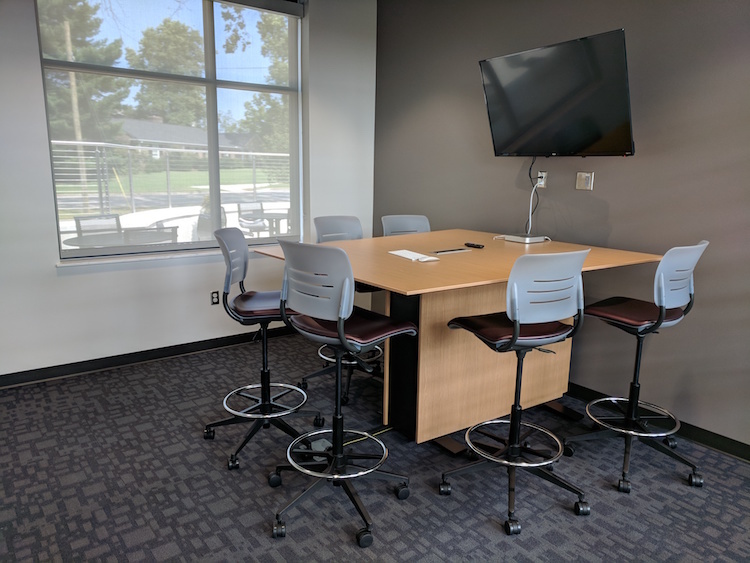 It is a flexible space with a projector that can be connected to a laptop. It holds 15-20 max. We have folding tables that can be set up. We prefer this space for smaller groups and children's activities. *Confirmation email will come within 48-72 hours to confirm reservation. This room is not available during from May through July of each year, due to Summer Reading activities. Has seating for 6, although more chairs could be added, maximum capacity is 10. There is a table with an embedded Mac mini attached to a 48" television, magnetic dry-erase board. 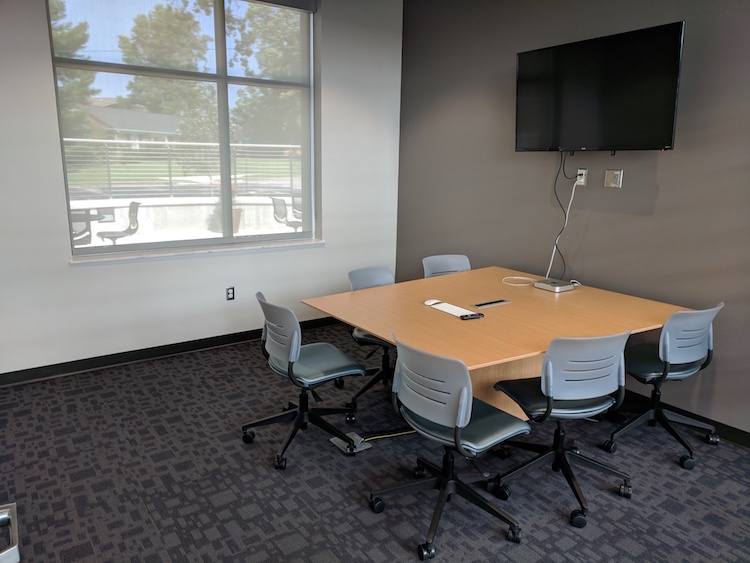 This space for smaller groups such as business meetings, video conferencing and project planning. Has seating for 6, although more stools could be added, maximum capacity is 10. There is a club-height table with an embedded Mac mini attached to a 48" television, magnetic dry-erase board. This space for smaller groups such as business meetings, video conferencing and project planning. 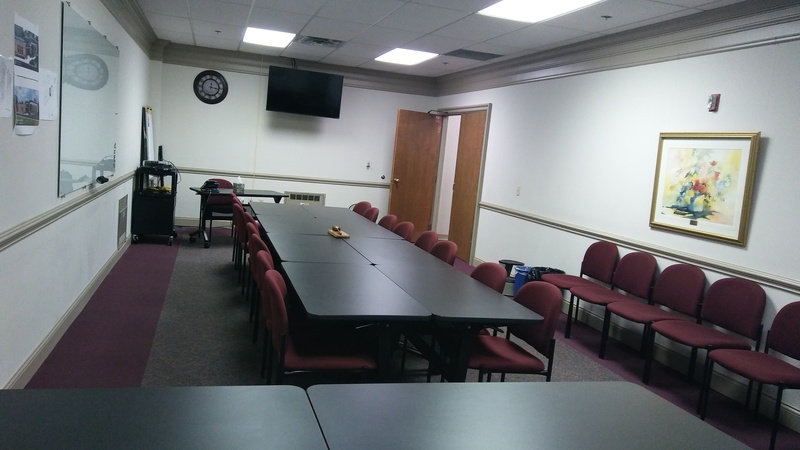 This large room has tables easy to reconfigure which makes the space useful for teaching, training, meeting and more. There are 24 Macbooks available, a magnetic dry-erase board, 55" television with a Mac mini and a lectern. 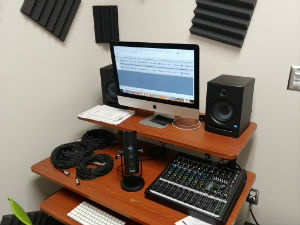 The Recording Studio at the TEC has all the equipment you need to record voice-over, soundtrack, sound effects, music or podcasts. The main computer in the studio is a 16GB iMac and there is a 16 channel usb mixer with effects loop. Current recording software includes Audition, Audacity and GarageBand. Schedule some time to stop by the TEC for a crash course on how it’s set up and get started! It’s easier than you think, and it’s free with your library card.